Rain all day here, but no snow; hope it stays that way. How beautyful! Eyes can't help following the river, trying to escape from grey skies.. 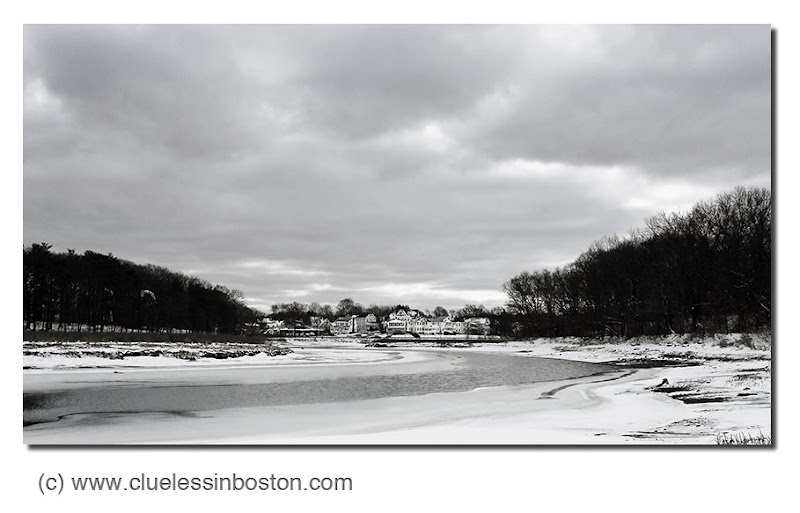 Wonderful perspective and the observer has a difficult time discerning whether this is a black and white or a color shot of a very gray and wintry day. Now THIS is great! Very "The Shining"